Another shot taken at the Stonehenge War Memorial along the Columbia River Gorge. This was to be the ﬁrst night of Astro Photography, weather willing, but as you can see, it was a cloudy, rainy day. Not to worry. 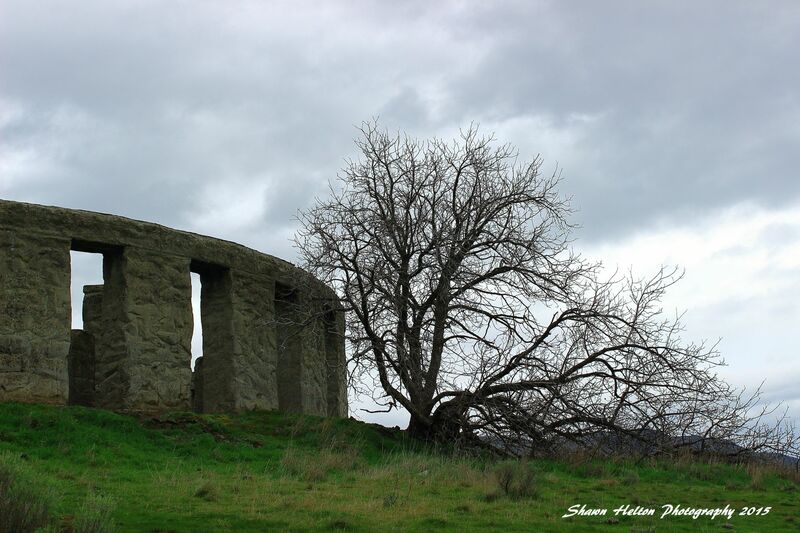 I love this shot of a dormant, un manicured tree growing oﬀ of the side of the hill, the structure sits upon. And the cloudy conditions made for a beautiful, yet eery view of the Stonehenge Monument. A personal favorite!